I am sure by now most of you have seen this particular comparison, but I wanted to show you my own version, just in case you missed it! Zoya Faye and OPI Rally Pretty Pink are both stunningly gorgeous. And, it turns out, basically the same polish. 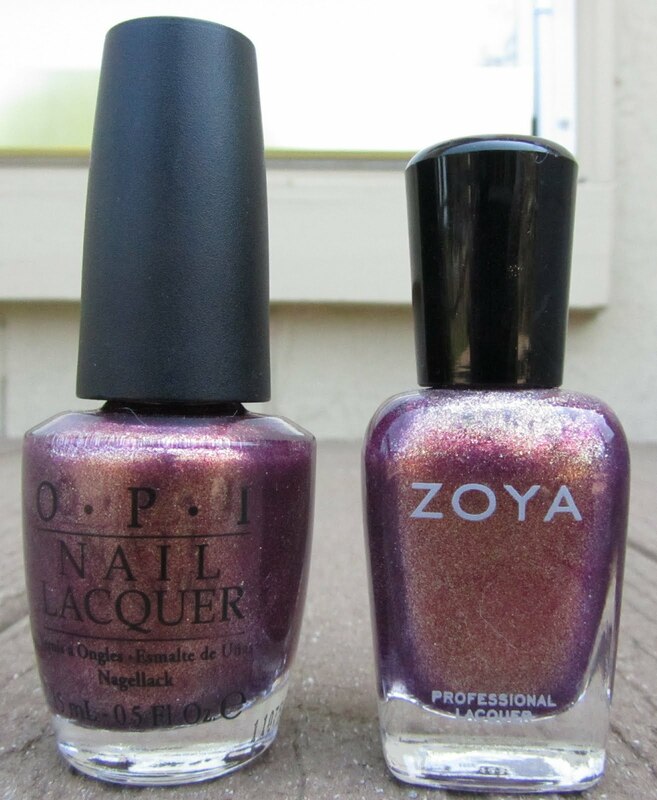 Both of these polishes are a pinkish-mauve with a ton of golden shimmer. They are both gorgeous, and as far as I can tell.. both the same. I tried really hard to see some difference on the nail but honestly, I'm just not sure there is a difference. So I will declare these dupes, as many others have as well. Both applied well at three coats for opacity, each with a nice formula, so which one you want is really up to your own personal preference. As for myself, I am glad to have them both to have a backup of this color, because I really like it! They look close enough for me! And now I'm happy because I have Faye and I don't have to rush out and get RPP - besides...I like Zoya's formula better. wooow indeed can hardly tell the difference! I`m really glad to own the OPI one, I love it!